There is something magical about seeing the ballet. The grace... the music... the strength... the emotion... the story all told through music and movement. A well done ballet can give you chills. The State Ballet of Russia will be performing Cinderella on Sunday, December 4, 2016 at 3pm. There will be one performance... and I'm excited that A Madison Mom has been provided with 4 tickets to give away to our readers! Set to the music of Sergei Prokofiev, Cinderella is one of the most magical and hopeful of the storybook ballets, the enchanting story of wishes that really do come true. About The State Ballet Theatre of Russia The State Ballet Theatre of Russia was founded by Maya Plisetskaya, the legendary dancer and former prima ballerina of the Bolshoi Theater Ballet and is now under the direction of award-winning dancer and Moiseyev Dance Company soloist Nikolay Anokhin. 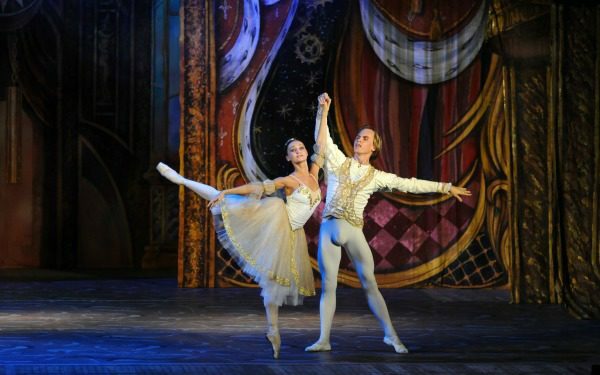 The company has showcased the unparalleled art of Russian ballet to countries throughout the world, and now tours the U.S. with 55 of Russia’s finest dancers in Cinderella. Tickets are available on the NJPAC website or Box Office phone 888-GO-NJPAC (888-446-5722) and are on sale for $29 - $65... but we have a 4 pack of tickets to give away for the performance. For more information about the performace, directions to NJPAC, parking information, and more please visit the NJPAC website and the page featuring the ballet.